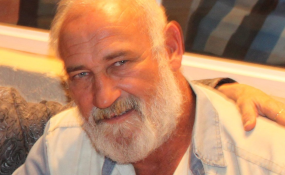 The remains of André Hanekom - the South African man believed by his family to have been poisoned by Mozambican authorities - has safely reached South Africa for an independent autopsy, his wife, Francis, confirmed to News24 on Thursday. After much diplomatic and bureaucratic to-and-fro, Francis obtained a permit to repatriate his remains and managed to cross into South Africa at around 16:30 on Thursday. An independent forensic investigation into the cause of his death will now be conducted, most possibly on Friday, Francis told News24. For safety reasons, the exact location of Hanekom's remains will not be disclosed. The cause of death recorded on his death certificate was encephalopathy hypoxia, meaning he died from a brain injury caused by asphyxia. Hanekom died in police custody ahead of his court appearance on charges of terrorism. His family earlier told News24 they believe he had been poisoned. Francis also received anonymous threats stating: You will would soon get your husband in a body bag if you don't do the following." The person then asked for 10 Bitcoin (approximately R463 000), threatening to kill André if this demand was not met. Hanekom's daughter Amanda earlier told News24 that the family feared Mozambique authorities would incinerate Hanekom's body to "get rid of evidence". Earlier this week, Mozambican newspaper O País reported that the provincial hospital in Pemba, where Hanekom died on Wednesday last week, had received the results of the autopsy of Hanekom, but said it could not reveal the report, not even to the family. Nevertheless, Francis managed to obtain a permit to repatriate Hanekom's remains to South Africa. It has been a long battle for Francis since Hanekom was first abducted in August last year. In what police later claimed was an arrest, Hanekom was shot with an AK-47 assault rifle and had been in and out of hospital since then and was kept in custody, despite two court orders ordering his release. News24 previously reported that Hanekom and two Tanzanians were officially arrested on December 31, and were named by Mozambican authorities as allegedly being part of a jihadist group operating in the region. According to AFP, the group faced charges including murder and crimes against the state.Allegedly, Hanekom had been responsible for the logistics of the group and was shot while trying to resist arrest in August. Weapons were reportedly found at his home.His wife has repeatedly denied the allegations.Hanekom's family was left in the lurch many times as he was moved around, with them often not knowing where he was held and, when they located him, being denied access to him. A South African expat who had lived in Pemba for eight years, but who does not want to be named, earlier told News24 that Hanekom was "anything but a terrorist. He was certainly not a jihadist. "The man said the Pemba area was a smuggling hub for ivory, rubies and drugs, but could not confirm whether Hanekom was in any way involved. "The oil and gas that were found in that region brought with it a lot of movement. You never know who is involved or what [Hanekom] was suspected of being involved with." International Relations and Cooperation Minister Lindiwe Sisulu directed High Commissioner to Mozambique Mandisi Mpahlwa to engage with authorities there to establish Hanekom's cause of death. Speaking to News24 earlier this week, Sisulu's spokesperson Ndivhuwo Mabaya said that the high commissioner and law-enforcement authorities in Mozambique were busy with their investigations into Hanekom's death. "What many people don't know is that [Sisulu] has instructed the National Prosecuting Authority and the Hawks to investigate these allegations [of poisoning]. We are as concerned as the family," Mabaya said.